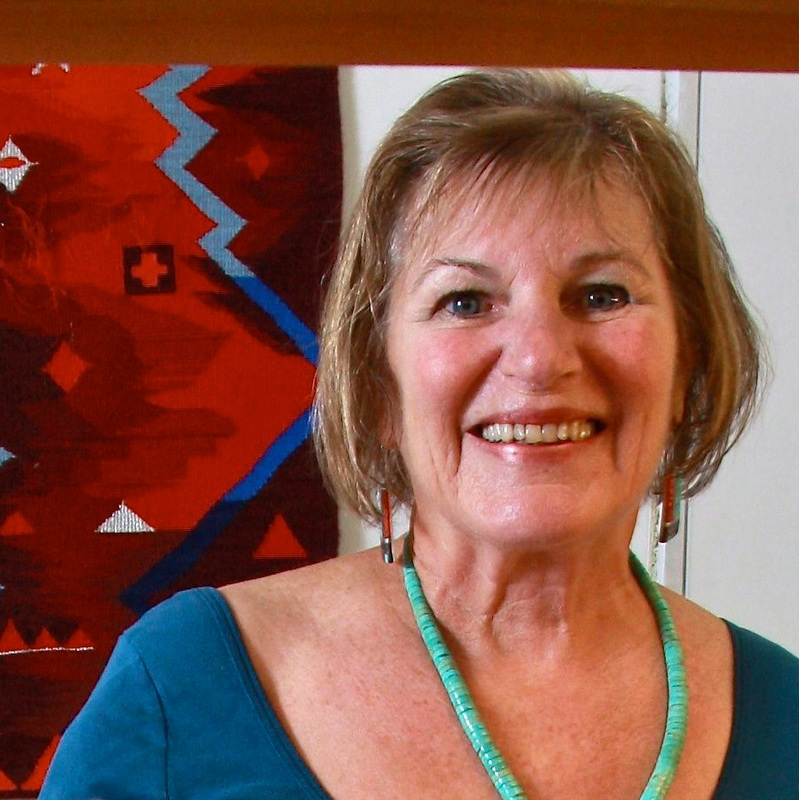 Creating three dimensional fiber is playful and much less intense than weaving tapestries. 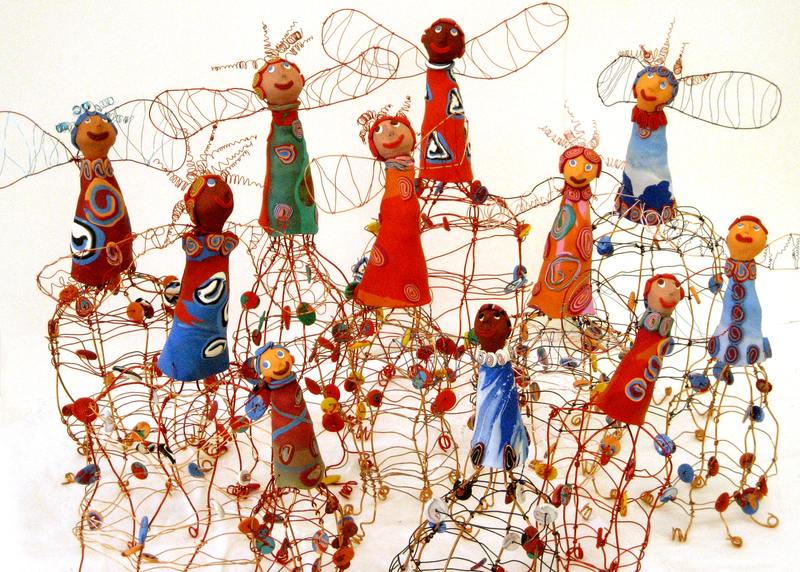 My copper wire and clay “Guardian Angels” are characters with lots of personality. They are generally eight to fourteen inches tall. I think it would be fun to make much bigger ones! “Seaform Blessings” are bright, colorful sea creatures. 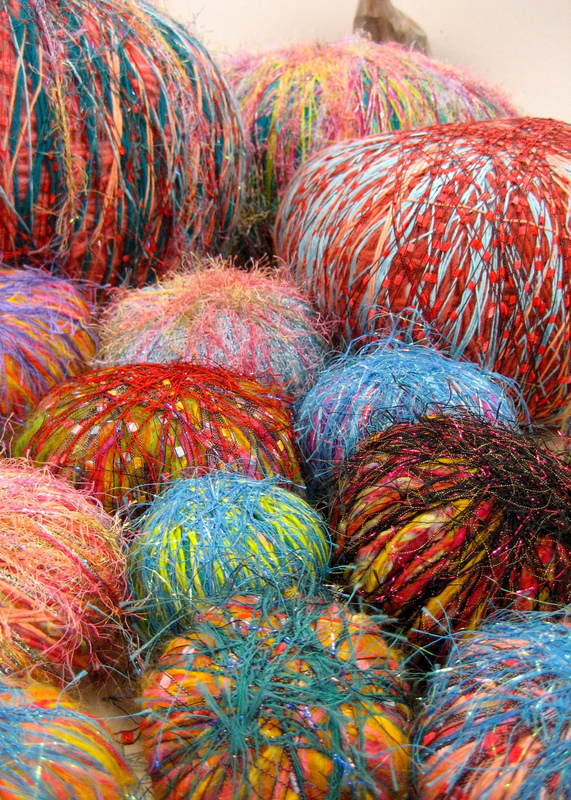 Each begins with a written blessing and is wrapped and wrapped around and around a fiber core with a variety of yarns, until it is big enough. Most are wrapped with a final layer of metallic fringed yarn, reminding me of sea urchins. They so far are four to sixteen inches in diameter.